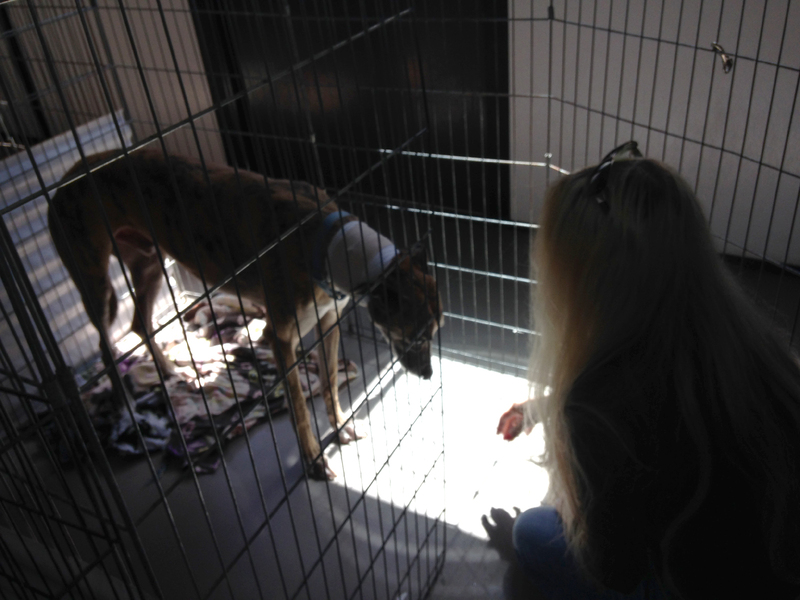 I spent the better part of the day at Hemopet in Garden Grove hugging greyhounds and getting more than my share of sloppy kisses in the bargain. 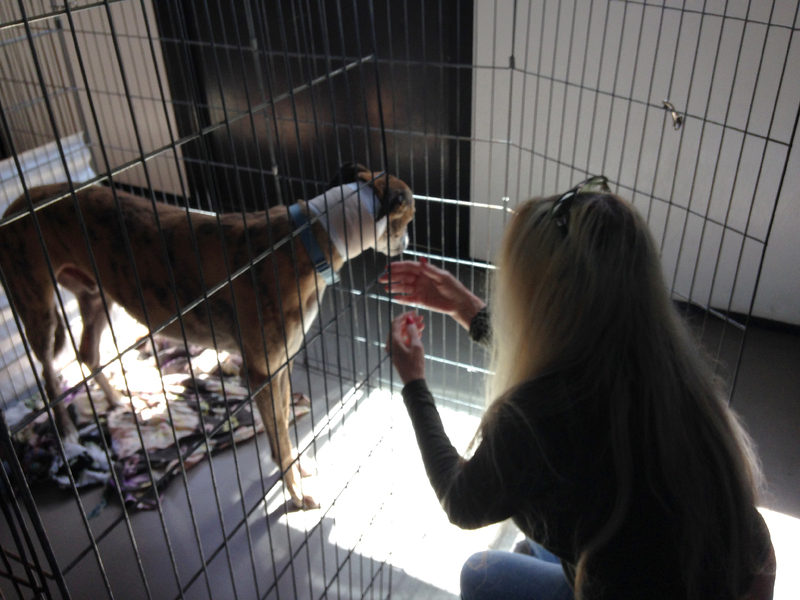 Hemopet is a canine blood bank in addition to being a greyhound rescue facility. 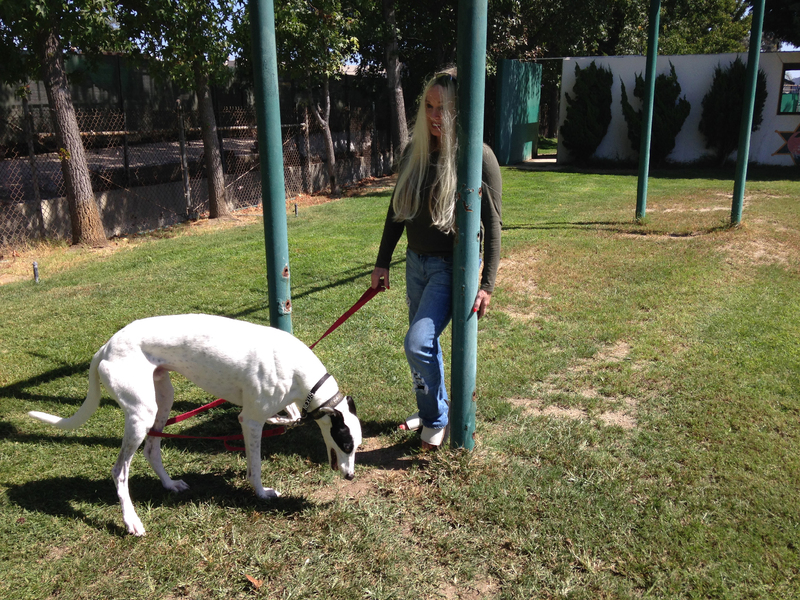 The greys donate blood and the funds from that help support the rescue mission. Arriving at Hemopet in Garden Grove. 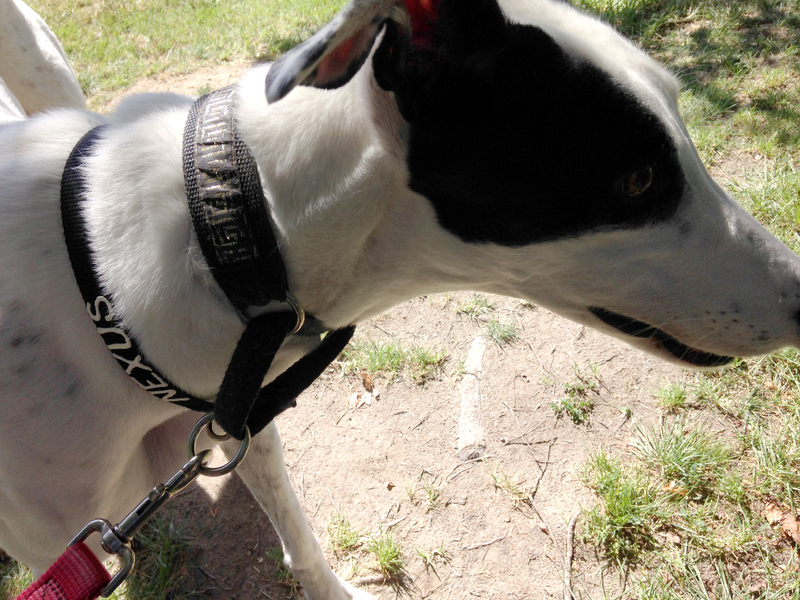 Many of you may know that my dear Suave was an alumni of Hemopet, and since his passing Thomas and I have volunteered to walk, feed, water, pick up poop, hug, kiss, and generally spoil as many needlenoses as we can. 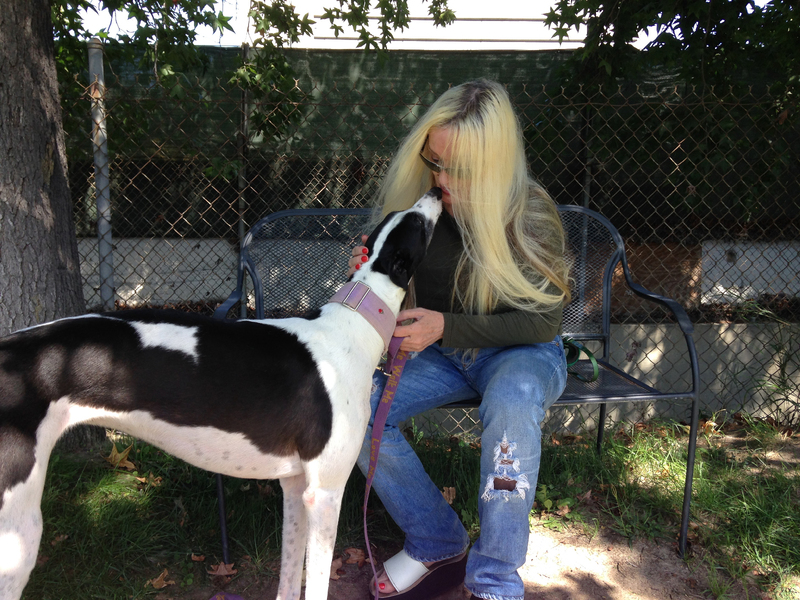 One day we’ll adopt another, but for now we spread the love around every chance we get. Tony was a little shy at first. The first dog I met today was Tony. 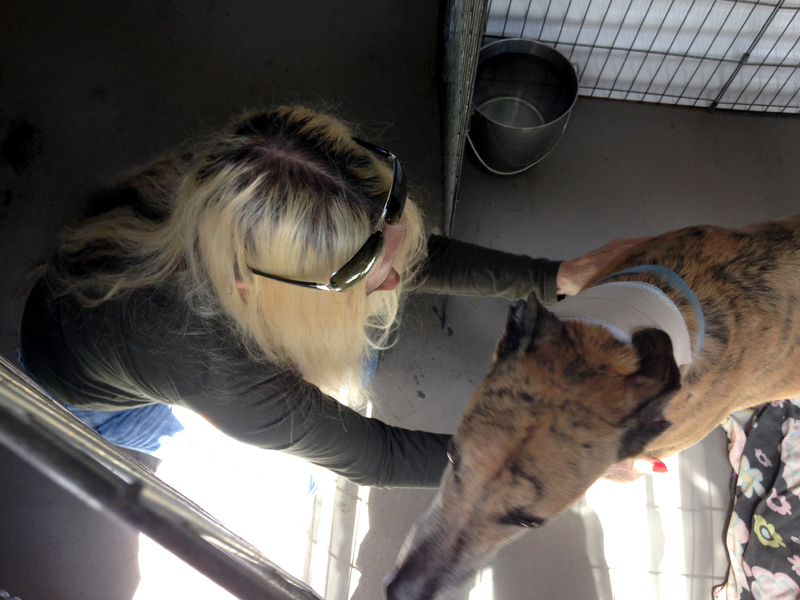 He’s a very gentle boy who had just donated blood, as you can see by the bandages on his neck. Tony was a little shy at first and needed to warm up to me. Once he did though, I got my first kiss. Once Tony warmed up to me, it was love, love, love! This little black and white girl you see giving me a smooch is named Muse. She is young and energetic. I mean ENERGETIC. 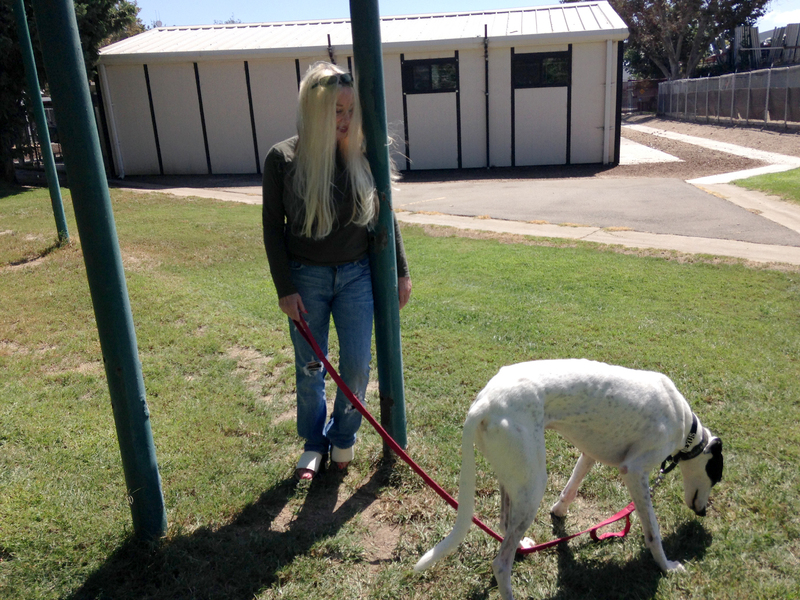 We took her into the exercise run area and she chased toys until I was exhausted. Muse can’t wait to give kisses. 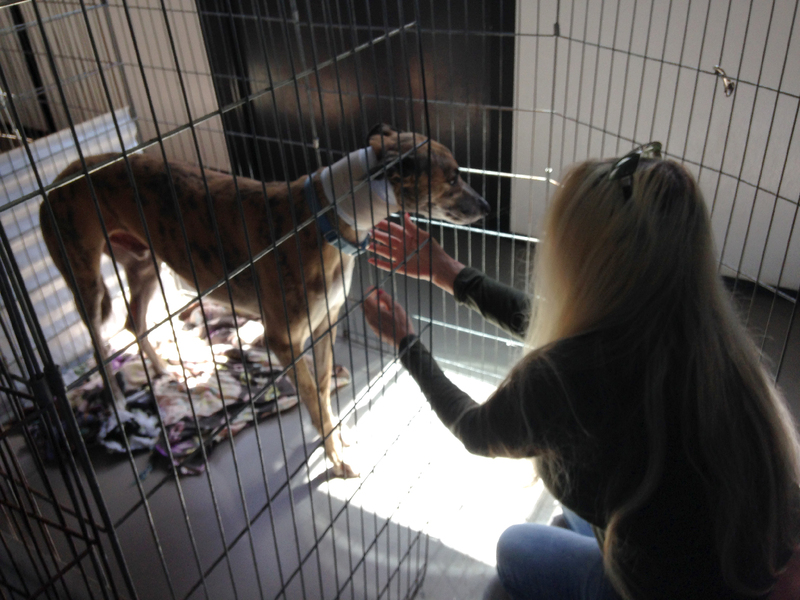 Then there was the handsome brindle named Roman, who definitely had a roaming Roman nose. 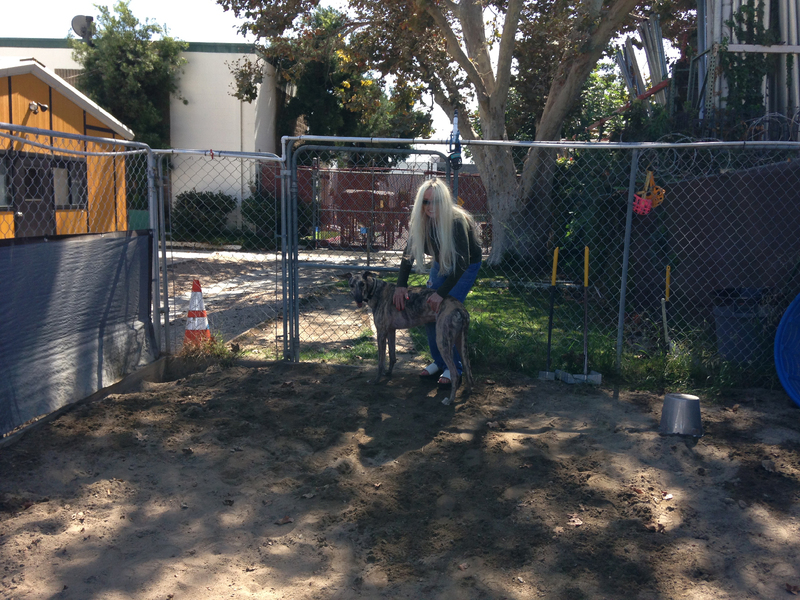 That brindle coat makes him look like a wild animal, and he was very interested in trying to dig his way out of the exercise pen. And last there was handsome Nexus. 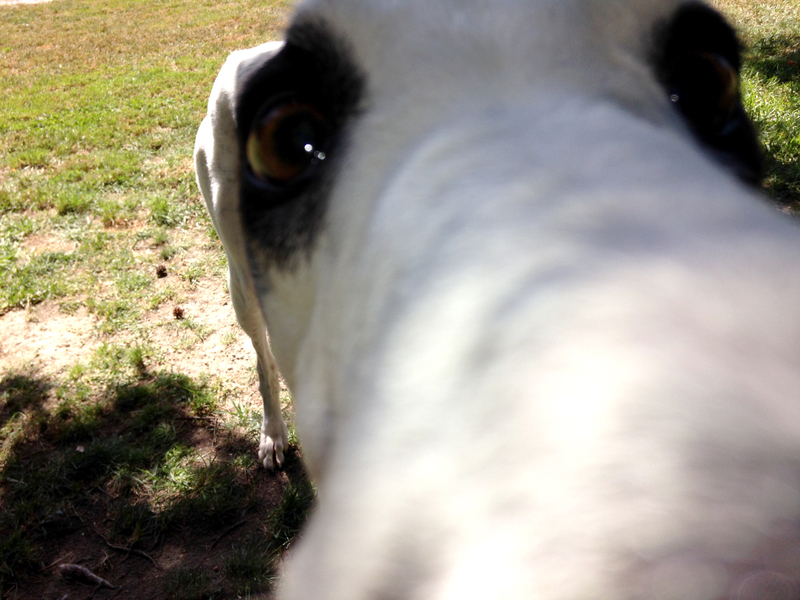 He’s a big gentle fella who loved to walk around the grounds, and then thoroughly inspected my new iPhone. Nexus checks out my new iPhone. 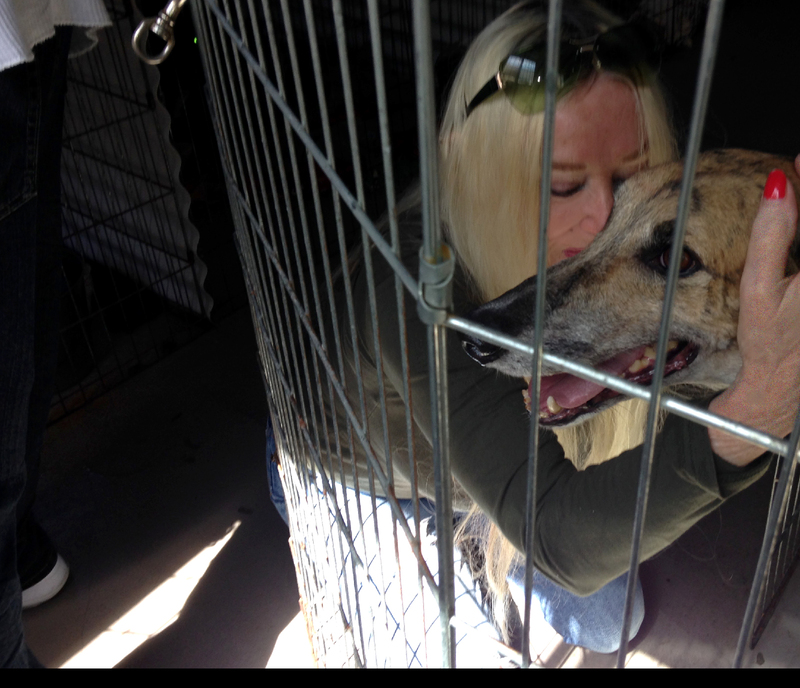 If you have never been around a greyhound, I cannot recommend them highly enough. They have keen intelligence, sweet dispositions, and astonishing intuition. If you allow one into your life you will count yourself forever blessed. 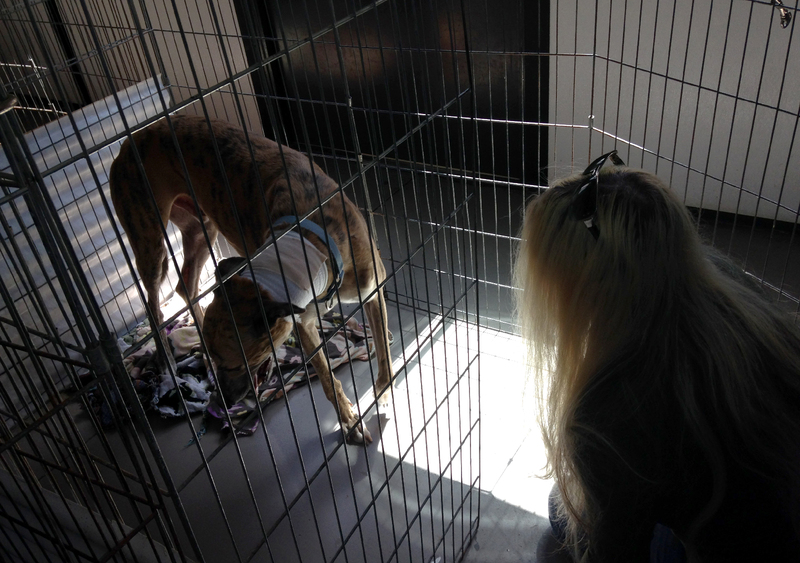 There is most likely a greyhound rescue near you. If not, you can contact Hemopet who can ship greys wherever there is love in this world. Greyhounds are the best in so many ways. God bless them all, as well as all those people who love them, care for them, and work to rehome them.